Why have a separate invoicing platform? 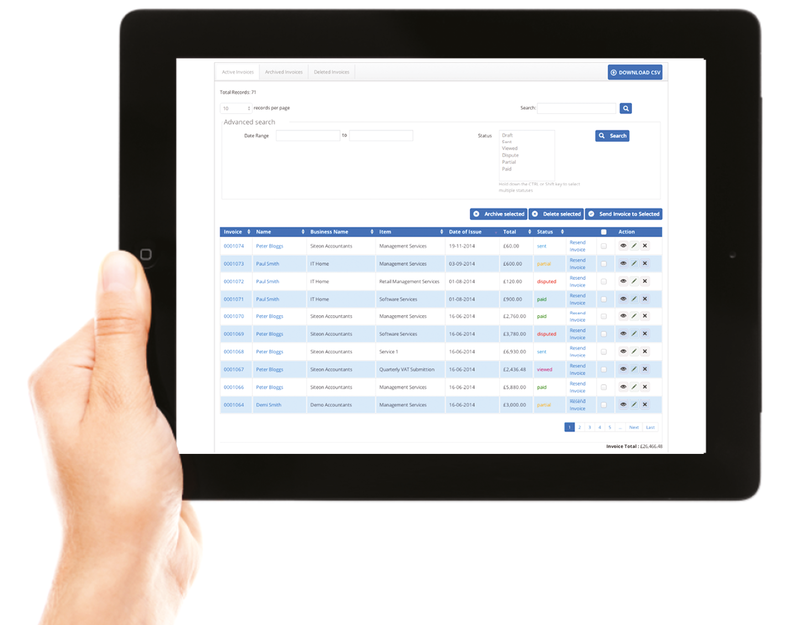 You can create, send and track invoices seamlessly with 4CRM. Once paid your customers will receive a thank you for your payment notification keeping your brand at the forefront of their mind. 4CRM offer an easy to use Invoice Management function, fully integrated into your CRM platform. You can send branded invoices via email and track when your customer has viewed, queried or paid the invoice. You can pre-schedule up to 3 fully branded and personalized invoice reminder emails. The integrated invoice collaboration tool, means customers can ask questions about their invoice with your answer appearing instantly. Once created, the invoice is automatically stored in the customer’s dashboard displaying the status of the invoice. This ensures everyone can easily see the customer’s payment and buying history. This information can also ensure that you and your team do not try and sell something to a customer that they have already previously purchased. 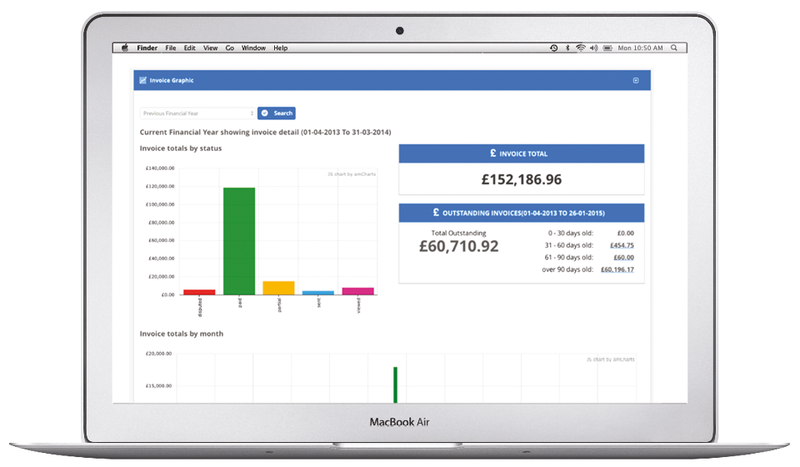 You can also see the invoice total and outstanding invoice payments on your own dashboard, enabling you to see at a glance how your business is doing. By keeping on top of this critical part of your business, you can ensure your customers are fully aware of when payments are due and help avoid your business struggling with poor cash flow, due to unpaid invoices. Add your terms and VAT to your template when configuring your invoicing, once saved these will appear on all of your invoices automatically. You can add your signature and individual content for each of the email templates sent at every stage of the invoicing process. For example, the quote/estimate email, the invoice email, the late payment email and so forth. Create your branded late payment reminder notifications and choose how many days after the invoice date, you want the notification to be sent out. Once set up, reminders will be sent out to customers automatically. You can set up three reminders per invoice. You can track if the invoice is in draft, sent, viewed, disputed, paid or partially paid. 4CRM is now fully integrated with PayPal, which means you can start accepting Invoice Payments instantly, using your PayPal Account. Just enter your PayPal email address, select verify and tell your customers. All the contact details are taken from the data collected in your business dashboard, saving you time by not having to duplicate details. Once a quote has been accepted, you will be notified and you can then create a draft invoice from the accepted quote, so you do not have to duplicate the details. You and your customers can download any Quote or Invoice to a perfectly formatted and branded PDF to print or save for accounting purposes. Within Manage Invoices, you can search for Invoices by Date and (Multiple) Status. For example, All Sent, Viewed and Paid Invoices. Keeping you on top of your invoicing and cashflow. Invoices can be filed using these three clearly defined tabs within the Manage Invoices / Quotes screen. Invoices can be restored back to Active at any time.